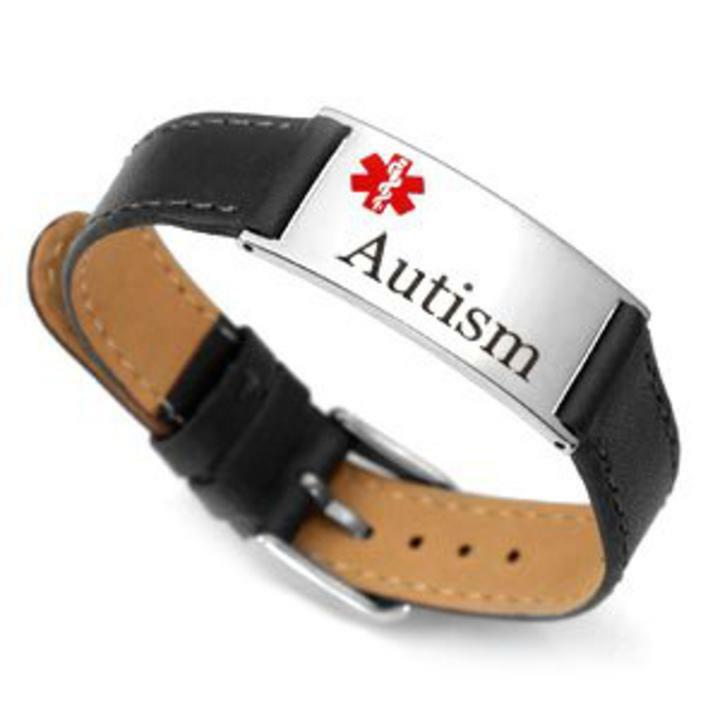 Autism Black leather and stainless steel medial alert bracelet is pre engraved with Autism on the front and can be custom engraved on the back with up to 4 lines. Autism Medical Bracelet adjusts to fit wrists sized 5 1/2 to 7 1/2 inches. The medical plate measures 1 1/8 x 5/8 Inch and total length of medical bracelet is 9 inches and width is 5/8 Inch. Back engraving is done in black laser!